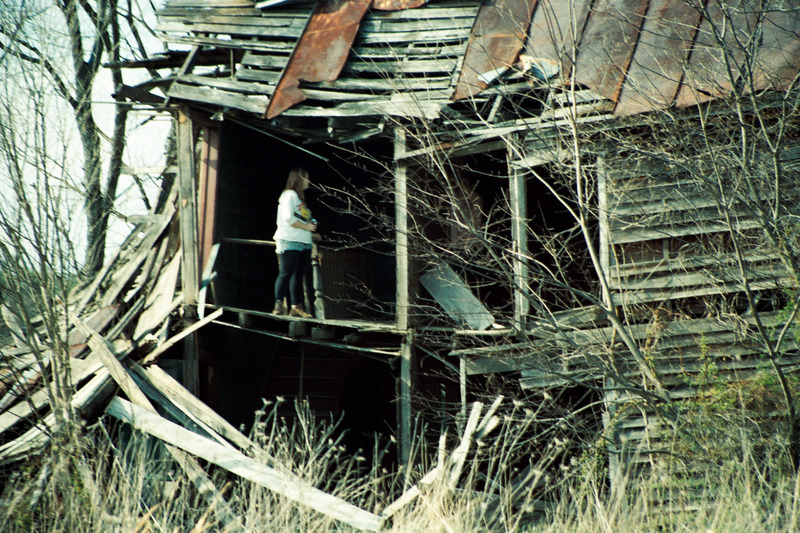 What I see is my friend standing on the sloping upper floor of a collapsing farm house. We loved to walk around in that old house, and though we felt very safe, I know we’re lucky none of us ever got hurt. What I think is a lot of the things I’ve built in my life are kind of like that old wreck of a place we spent so much time exploring. What I wonder is if it’s better to hold on to the old dream as long as I can, or is it safer to walk away when things start to fall apart. 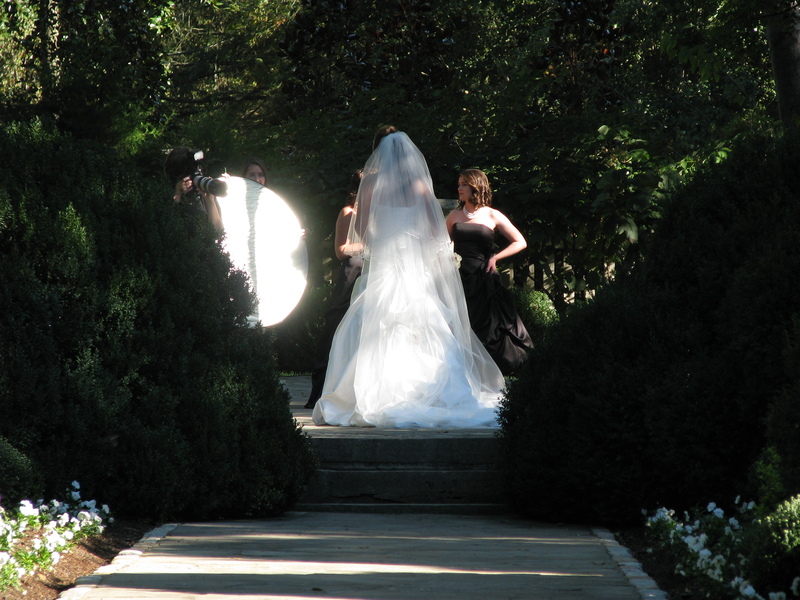 What I see is a woman being photographed before her wedding. What I feel is happy and hopeful. What I think is that, for just a moment, I’ve borrowed something from her life. This is one of my favorite pictures, taken almost 20 years ago. These two "people" are my then-roommate Margaret and our dog Topaz. 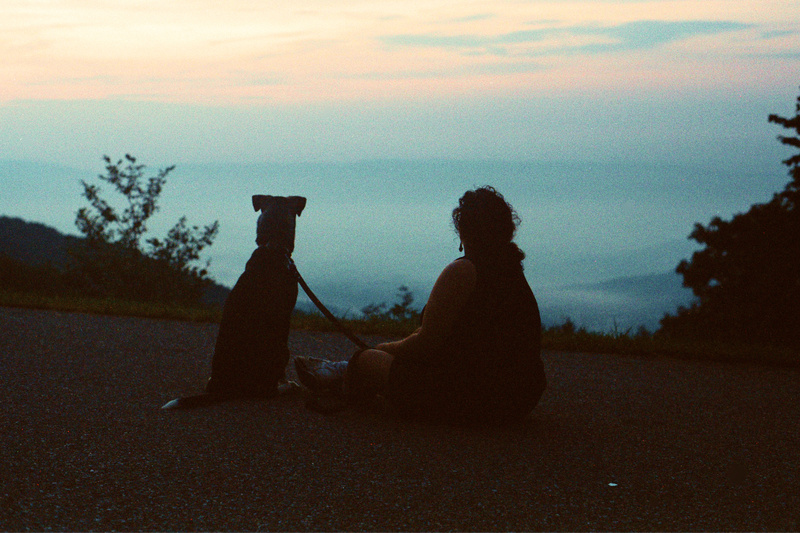 What I see is the two of them sitting on Skyline Drive, looking out over the Blue Ridge Mountains and the Shenandoah Valley, each seemingly lost in contemplation or admiration or I know not what. What I think is that man and beast alike are compelled to contemplate their surroundings. What I wonder is what the two of them were thinking at that very moment. A comment CW made here last week put me in mind of all the photos I treasure, even though they are very far from perfect. This is one of them. 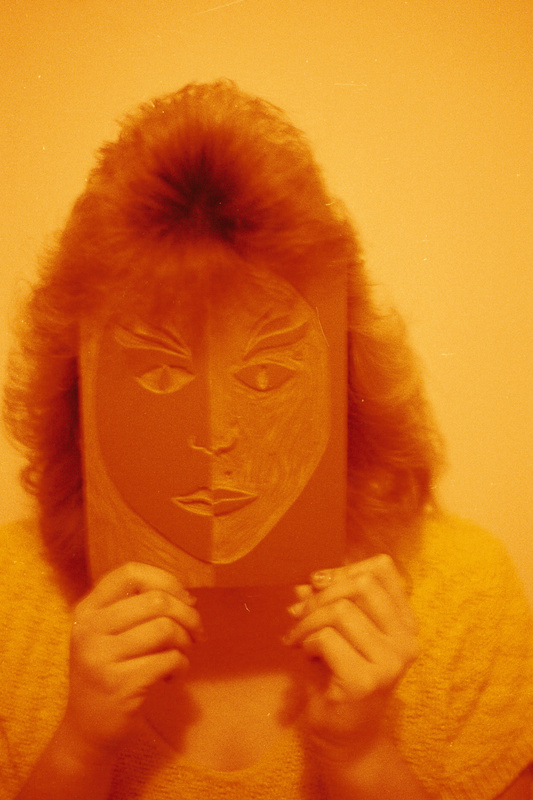 What I see is an old picture of my high-school friend, poorly framed, blurry, and a lot orange. What I think of is how like memory this is, fuzzy and imperfect, and yet the whole story is there, of friendship and laughter, big hair, priceless works of art, and goofing off after school. 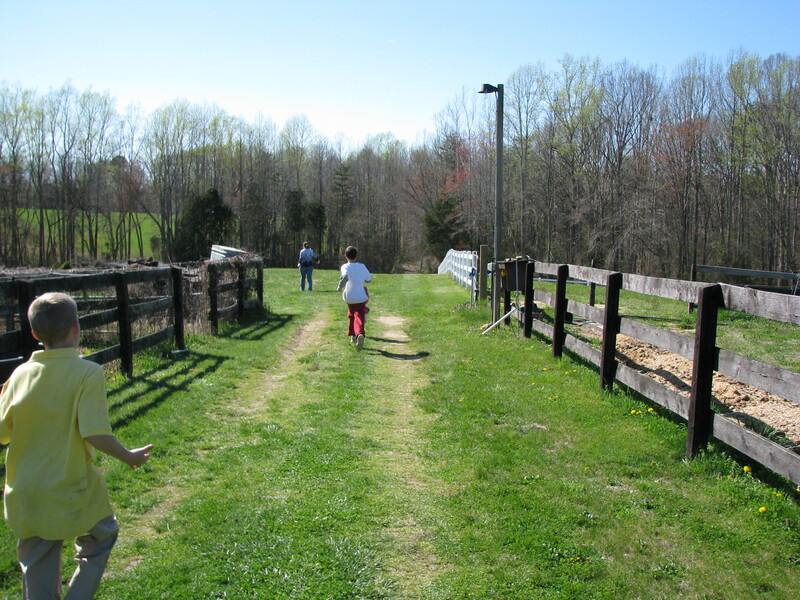 This is my Aunt & Uncle's farm and the kids are headed to the creek (and it's little pond) that's just inside the tree line at the bottom of the hill. What I see is boys making the most of a beautiful day. What I think of is all the times in my life when walking wasn't fast enough for me, either. This picture is 20 years old, but the memory of the day never ages. What I see is space and rolling hills, contentment and appreciation. 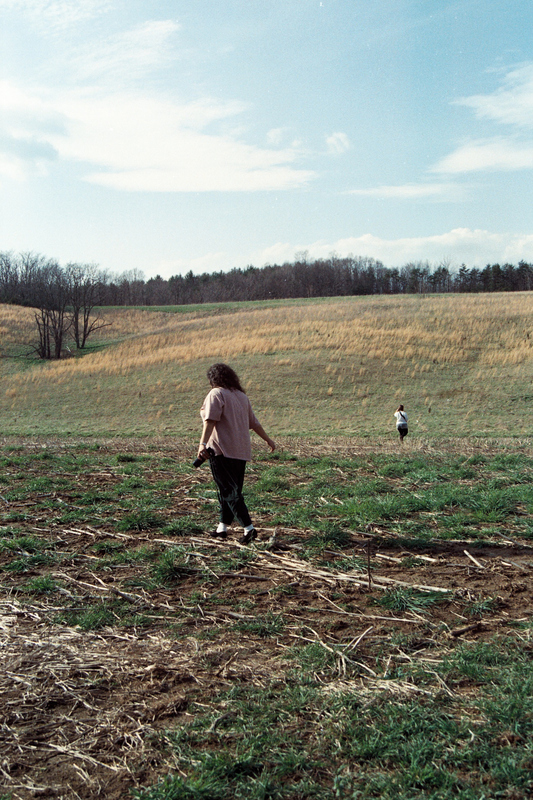 What I think of is friendship and adventure and the exploration of an afternoon.